Free shipping. Buy direct from HP. 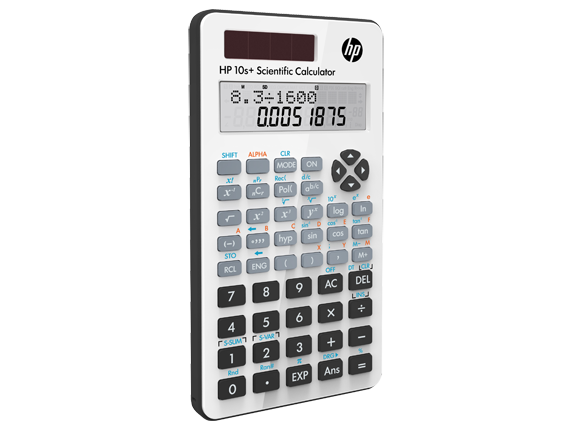 See customer reviews and comparisons for the HP 10s+ Scientific Calculator. Upgrades and savings on select products. 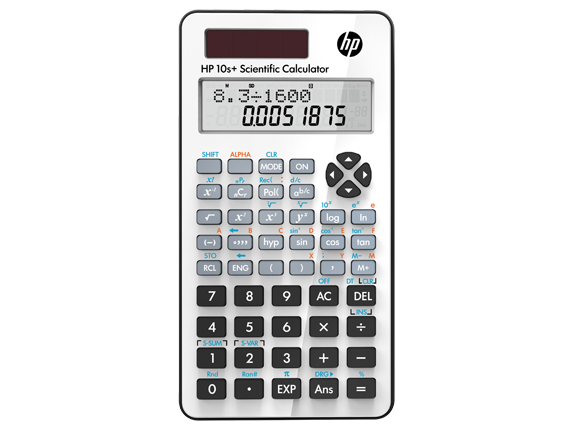 Choose the durable HP 10s+ Scientific Calculator with a user-friendly design, easy-to-read display and a wide range of algebraic, trigonometric, probability and statistics functions for your math and science classes. Enjoy a long-lasting calculator with solar power plus a battery backup so you can work in low-light conditions.Help protect your HP 10s+ from bumps and drops with the durable slide-on cover. View expressions and results simultaneously on a 2-line, 10-character display.Work smarter and faster with dedicated keys for common calculations including percentage, pi and sign change.Store and recall important results and data fast with the easy-to-use memory keys.Display decimals between -1 and 1 in your choice of either exponential or decimal format. Ideal for Math and Science students. Solve math and science problems quickly and easily using 240 built-in-functions.Power through advanced statistics— find mean, standard deviation, variance and more with editable lists.Calculate common probability functions like permutations, combinations and factorials.Perform decimal and hexadecimal (degree/hour, minutes, seconds) conversions. Convert from decimals to fractions.